The English economist and Fabian, John Atkinson Hobson (1858-1940), offered a famous explanation of the colonial era in his book “Imperialism: A Study” (1902). According to Hobson, the basic problem that led to colonial expansion was an excessively unequal distribution of incomes in the industrialized countries. The result of this unequal distribution was that neither the rich nor the poor could buy back the total output of their society. The incomes of the poor were insufficient, and rich were too few in number. The rich had finite needs, and tended to reinvest their money. As Hobson pointed out, reinvestment in new factories only made the situation worse by increasing output. Hobson had been sent as a reporter by the Manchester Guardian to cover the Second Boer War. His experiences had convinced him that colonial wars have an economic motive. Such wars are fought, he believed, to facilitate investment of the excess money of the rich in African or Asian plantations and mines, and to make possible the overseas sale of excess manufactured goods. Hobson believed imperialism to be immoral, since it entails suffering both among colonial peoples and among the poor of the industrial nations. The cure that he recommended was a more equal distribution of incomes in the manufacturing countries. 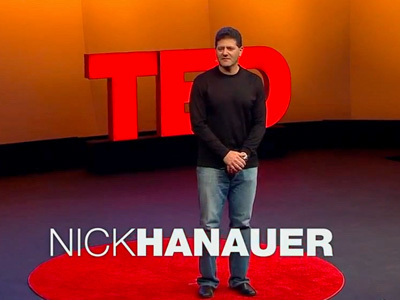 Interestingly, TED Talks (ideas worth spreading) was recently under fire from many progressive groups for censoring a short talk by the adventure capitalist, Nick Hanauer, entitled “Income Inequality”. In this talk, Handauer says exactly the same thing as John Hobson, but he applies the ideas, not to colonialism, but to current unemployment in the United States. Hanauer says that the rich are unable to consume the products of society because they are too few in number. To make an economy work, demand must be increased, and for this to happen, the distribution of incomes must become much more equal than it is today in the United States. TED has now posted Hanauer's talk, and the interested reader can find another wonderful TED talk dealing with the same issues from the standpoint of health and social problems. In a splendid lecture entitled “How economic inequality harms societies”, Richard Wilkinson demonstrates that there is almost no correlation between gross national product and a number of indicators of the quality of life, such as physical health, mental health, drug abuse, education, imprisonment, obesity, social mobility, trust, violence, teenage pregnancies and child well-being. On the other hand he offers comprehensive statistical evidence that these indicators are strongly correlated with the degree of inequality within countries, the outcomes being uniformly much better in nations where income is more equally distributed. Warren Buffet famously remarked, “There's class warfare, all right. But it's my class, the rich class, that's making war, and we're winning.” However, the evidence presented by Hobson, Hanauer and Wilkinson shows conclusively that no one wins in a society where inequality is too great, and everyone wins when incomes are more evenly distributed.  Richard G. Wilkinson and Kate Pickett, “The Spirit Level: Why More Equal Societies Almost Always Do Better”, Alan Lane, (2009).